Shravan Panyam is a Siddha Samadhi Yoga (SSY) teacher serving under the banner of Life Yessence Academy (LiYA) USA. 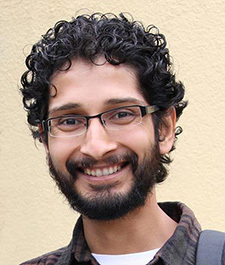 He has been a dedicated learner, Sadhak, and teacher with LiYA USA since his college days. He brings youth and dynamism to the application of spirituality in the modern world. Currently serving as the secretary of LiYA USA, he also manages the web and technological needs of LiYA USA to ensure that the knowledge is made accessible to seekers all across North America. He is passionate about education and is committed to creating an education system that trains not only the ability, but also the spirit, of every student. In order to give the best to children from as early as possible, he serves as an active Matru Mandir teacher and coordinator. He is joyfully serving his Guru, Poojya Guruji Rishi Prabhakar ji, enjoying the gift of life and helping all those around him to enjoy the same. All the while, he continues to grow and train actively under the guidance of his parent teacher Smt. Vishakha Purandare.